Volume 2 33 1/3 125g Virgin Vinyl LP. 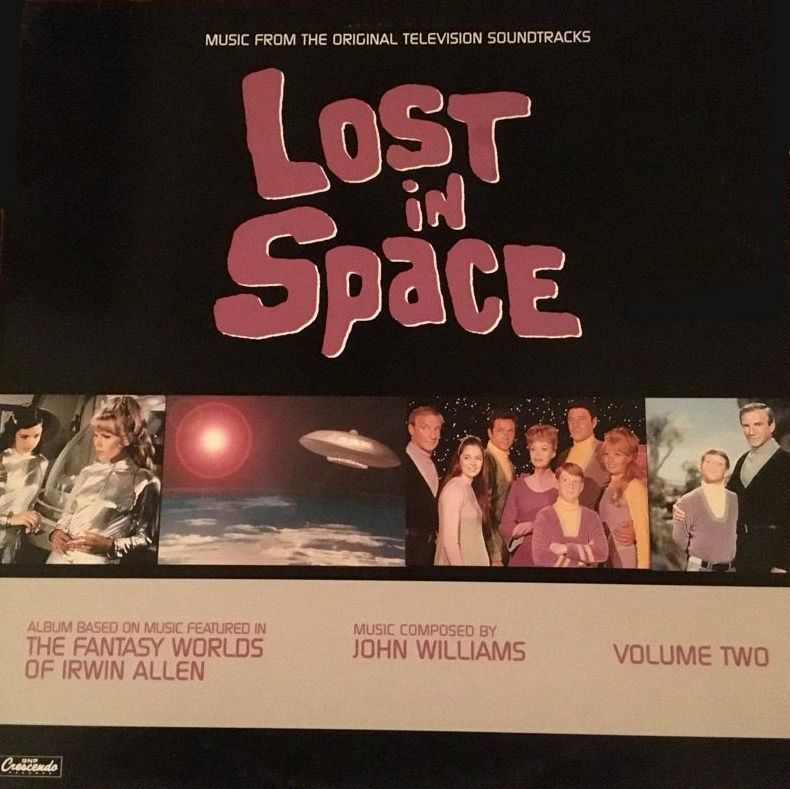 Album is based on Music featured in THE FANTAST WORLDS OF IRWIN ALLEN. 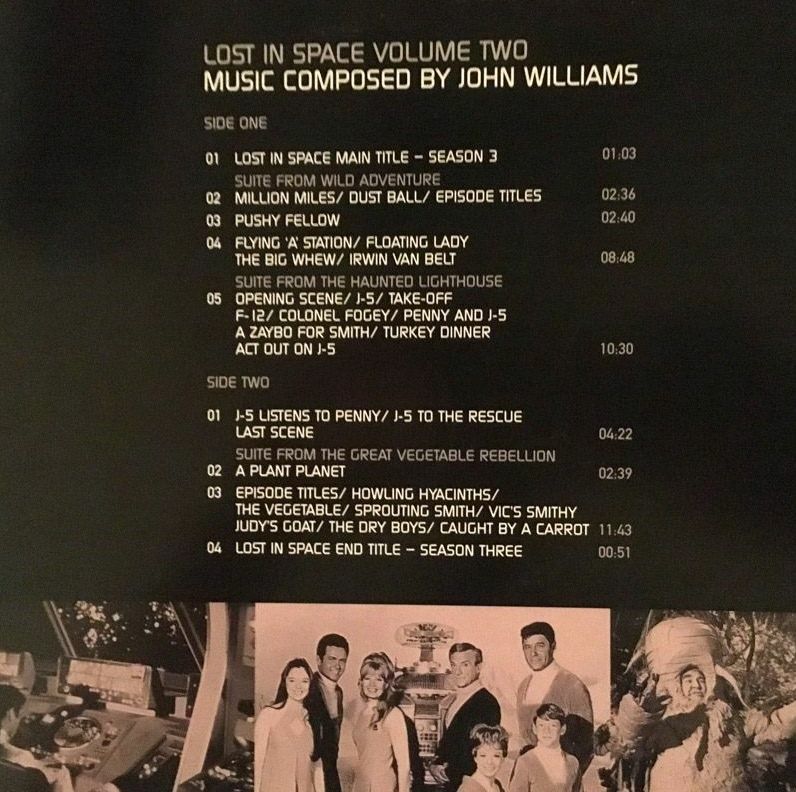 Music Composed by JOHN " JOHNNY" WILLIAMS. So On volume two expect this. 01 Lost in Space Main title Season three. 02 Million Miles/ DustBall/Episode titles. 03 Pushy Fellow 04 Flying 'A' Station/ Floating Lady/ The Big Whew/ Irwin Van Belt. suite from the haunted house Opening Scene/ J-5/ Take Off F-12/ Colonel Fogey/ Penny and J-5 A Zaybo for Smith/ Turkey Dinner Act out on J-5. SIDE 2 J-5 Listens to Penny/ J-5 to the rescue Last scene. Suite from the great vegetable rebellion. Episode titles/ Howling Hyacinths/ The vegetable/ Sprouting smith/ Vic's Smithy Judy's Goat/ The Dry Boys/ Caught by a carrot. Lost in space End Title Season three. Excellant piece for the collector.